Wooden wheelbarrow for yard work. Replaced car tires with All-Season. Getting rid of little critters. A possible visit to Arkansas this summer. Yard spring cleaning and maintenance. Vinegar does wonders to my floor. After we bought our first home, we have been doing a little bit of decorating here and there. We've started with the guest room, in time for my father-in-law's visit. Now, we're working on our living room next. I know it's going to take a while before I can transform our living room into what I would like it to look but I have been incorporating some design ideas that I got from researching online. 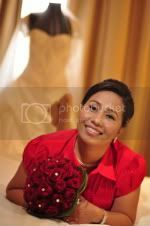 For one, I would love it to look bright, sunny, vibrant and cozy, so I am thinking of using colors that pop. The walls will have to remain warm and neutral though so we're repainting them this summer with either a shade of beige or tan. However, our furniture are mostly dark brown so we definitely need bold and striking accessories to make the room alive. So I was really thrilled when Cushion Source sent me this beautiful pillow set (throw pillow, flange pillow and lumbar pillow) to review. I chose this stunning torquoise pillow set because they are undeniably pretty and they complement well with my dark couch. Let me tell you a little bit about the makers of these beautiful pillows. Cushion Source was founded in 2004. They make custom throw pillows for both indoors and outdoors, all kinds of custom seat cushions, custom drapes, kids pillow and so much more. They saw the need to cater to each person's individual tastes and preferences so they aspire to give their customers the option to choose products made uniquely for their home and outdoor furniture that absolutely matches their style. This ends everyone's frustration of not finding the perfect throw pillow that goes with their living room or patio furniture off-the-shelf from their local department stores. That's because Cushion Source will make the perfect one fit for your needs. I was amazed with the wide selection of fabrics from their gallery. 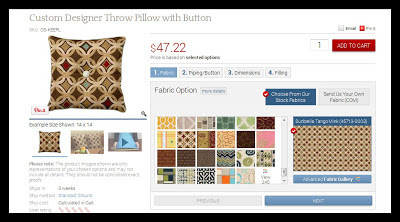 The custom ordering system has never been so easy and user-friendly. You are able to customize the size, front and back fabric, filling, trim and so much more. I'm providing you a printscreen shot of the ordering process so you will have an idea of what I'm talking about. Or better yet, go check out their site and create that perfect throw pillow you were hoping to get. I was honestly impressed with the impeccable quality of the pillows that I have received from them. They are made of high-quality fabric that has withstood the abuse of my toddler. Because of how soft, comfortable and cushiony these pillows are, my 2.5 year old would love to sit on them while watching TV, lol! And when he's being playful and goofy, he would throw them around and play pillow fight with the daddy. I wouldn't even worry that the seams might split because even just at first glance, one can tell that they are made to last. 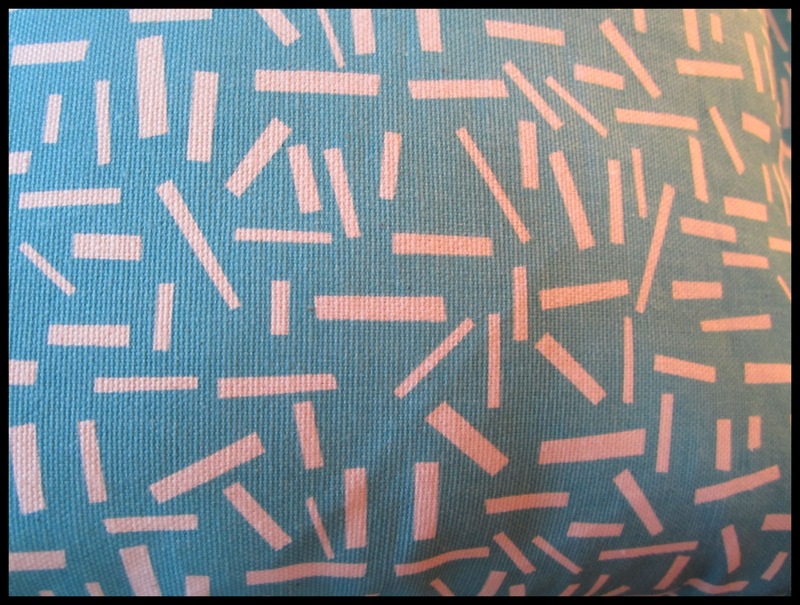 I'm showing you a close-up of the patterned fabric. I really love my new throw pillows. I was thinking of ordering more to complete the look of my living room. They can really spruce up any room in your house. Plus, they are proudly made in the USA. Learn more about their products by clicking on the button below. Now for the fun part. 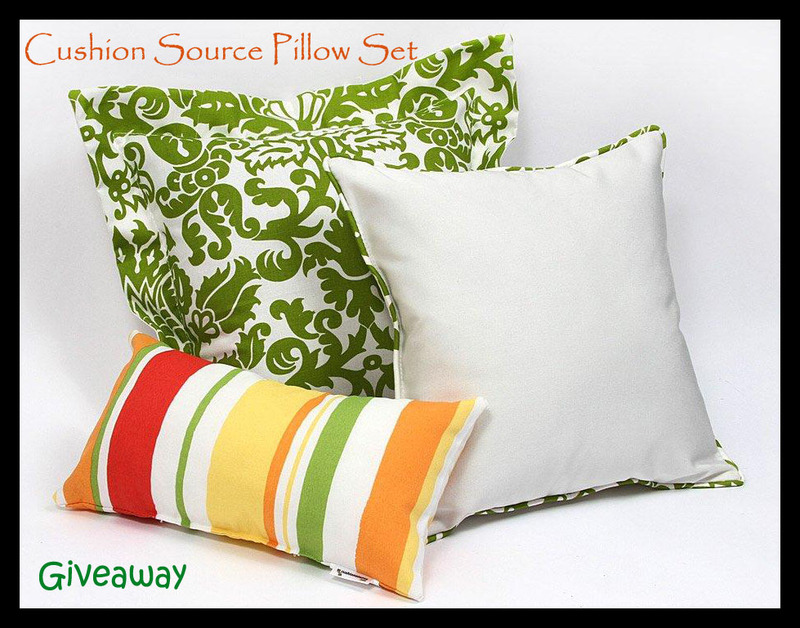 Cushion Source is giving away this fabulous pillow set valued at $125.00 as shown below to one lucky "My Sweet Haven" reader. Enter my Rafflecopter Giveaway below for a chance to win! Goodluck! I love the Sunbrella Seville Seaside but the I love more in the giveaway color. :) I can see how quality we can get from this company and how sophisticated it is. I love the colors you picked! 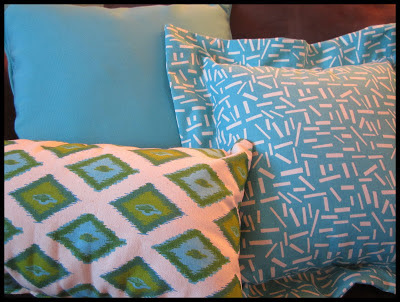 I need new pillows for our couches..
Those are pretty pillows! I am looking for new ones for my living room. Would love to win these! 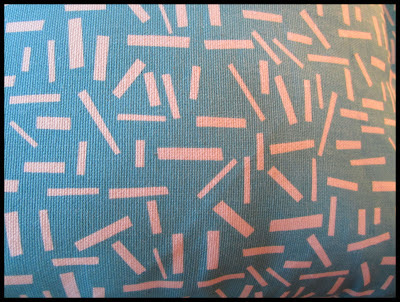 I like the Cherry Cotton Polly Twill fabric. Lovely pillows. I love the design so refreshing. cute pillows. 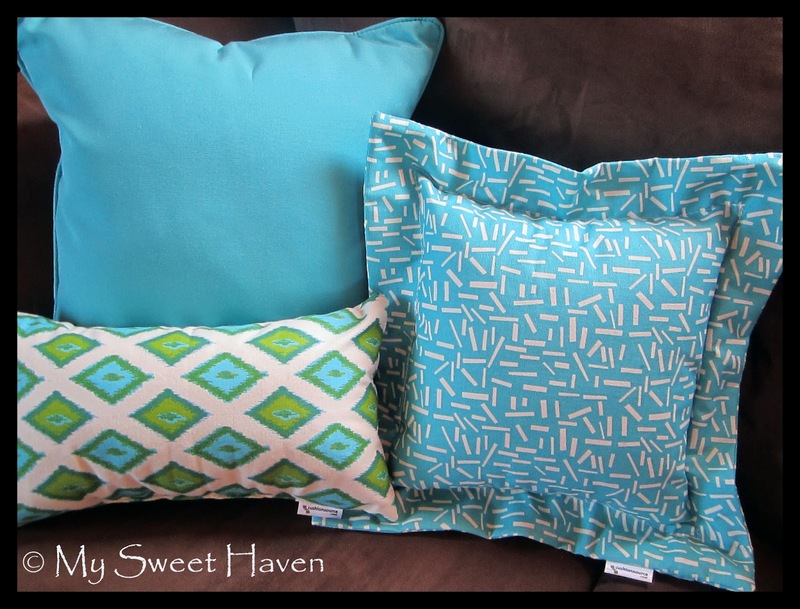 :) i sew my own pillowcases when i have a chance. I love the Sunbrella Castanet Beach. Trying my luck here sis. I have 2 one is Dusk Paint Stripe and the other is Peacock Birdsong. My walls are a tan and dark purple color and I think those would match the best. 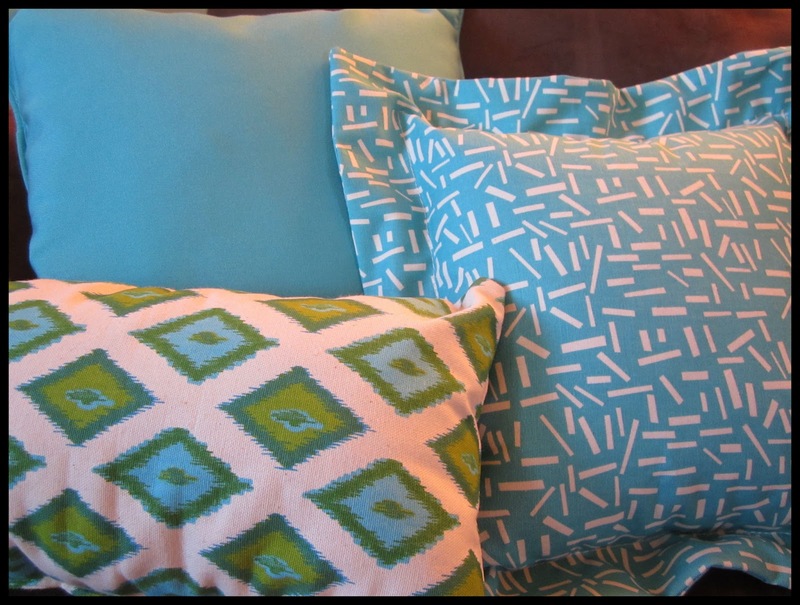 pretty pillows. i am obsessed of them. i love the ones with bold prints! I like this print "Sunbrella Villete Rococco". This would certainly look good in our living room. Thanks for the chance! 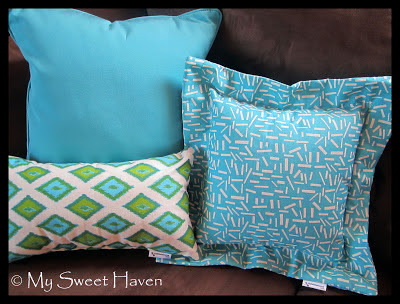 I like dark colors fabric and to match it with our couch, I would love the sunbrella cocoa! Wow. SO many choice. I really LOVE, Embrace Artist Green/Slub. Pretty color! Love the Sunbrella Seville Seaside it is very cheerful! I would love to have like the Floating Seaweed Baltic and the Newsletter Grey-Laken. :) I think it would be nice to have since we are painting our house in a new color. :) Thanks for the giveaway.